Just released. 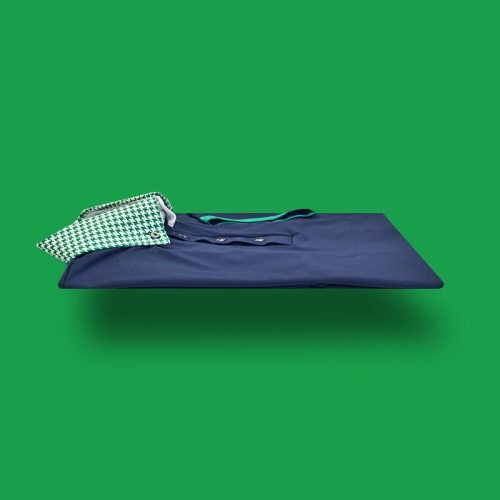 An eye-opening combo of navy and kelly green with silver accented buttons. Available now exclusively at afpolos.com.